Are you hiring? Astrong employee benefits package is a powerful tool for attracting and retaining the best workers. In a 2011 Harvard Business Review Analytic Services survey of human resource leaders, 60 percent said an attractive benefits package is “very important” in recruiting and retaining quality employees, vs. only 38 percent who said a high base salary is very important. Benefits play an integral role in employee satisfaction. In its most recent annual trends survey, MetLife found that roughly 49 percent of employees polled said benefits were an important reason they came to work for a company, while 60 percent said benefits are an important reason for staying. While the cost and compliance of crafting benefits packages may seem daunting for small-business owners, experts agree they pay dividends in terms of long-term success. There are no easy formulas, because each entrepreneur needs a program tailored to his or her company and employees. But there are some universal guidelines. Getting Started — Christopher Delorey, senior vice president at employee benefits consultancy Bostonian Group, says employers typically start looking to round out a basic compensation package with benefits when they have six to 10 employees they wish to retain, as well as when they want to attract new ones. “You don’t necessarily have to have health insurance the minute you open your doors,” he says. Medical insurance tops the list of employee demands. According to The Principal Financial Group’s benefits study for fourth-quarter 2011, health insurance is deemed the most important benefit by 90 percent of employees. Medical and retirement plans can take many shapes and sizes to meet the goals of any company, according to Lisa Wintersheimer Michel, a partner specializing in employee benefits at law firm Keating Muething & Klekamp in Cincinnati. “From a fully insured health product to a flexible spending account to a 401(k) to a simplified employee pension plan, there are many different options and levels depending on what you’re interested in providing, what you can pay and the size of your group,” Michel says. Once the major benefits components are in place, it’s fairly easy and cost-effective to include other popular programs such as vision insurance, life insurance and long- or short-term disability. One benefit that’s growing in popularity, in part because it is so well-suited to small businesses and startups, is flexibility. “With so many personal demands on workers today, a flexible work schedule is a big plus in a benefits package,” Delorey says. In fact, a study by the New York-based Families and Work Institute found that the majority of professional and nonprofessional employees–87 percent–say having the flexibility they need to manage their work and personal lives would be “extremely” or “very” important if they were looking for a new job. Affordable Alternatives — While some benefits may be out of reach for small businesses, a little creativity can lead to similar, less expensive options that can have just as big an impact on employee morale and loyalty. Outside Help — No matter what benefits you want to offer, there are many resources for small-business owners to educate themselves. While valuable information can be found at websites such as the National Association of Health Underwriters and SCORE, most businesses enlist the aid of an insurance broker or employee benefits consultant to help them understand and evaluate various products, particularly as regulations and possibilities vary from state to state. These professionals can help you compare different products and understand the costs as well as determine what makes sense for your organization. To make sure you find the best options and providers, ask questions about each product’s cost, what it covers and how the benefit is delivered. 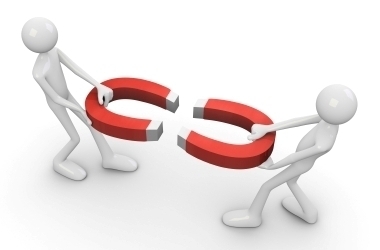 What other suggestions do you have to attract and retain staff? Read more about this issue at Entrepreneur.